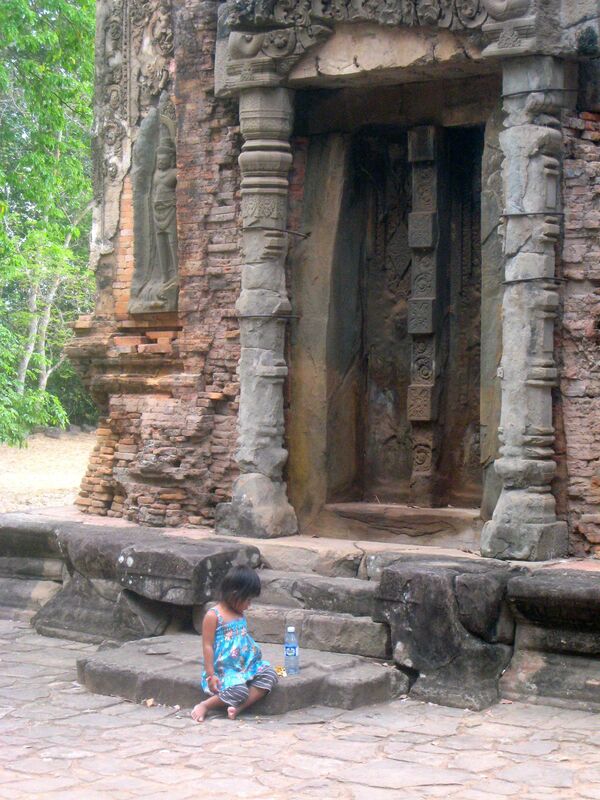 Photo: Girl at Angkor Wat | Where is Yvette? This little girl was waiting for her mother to finish work and was much more interested in the orange slices than the crumbling history around her. This entry was posted in Cambodia, Photos. Bookmark the permalink. Maybe because she grew up with it so she doesn’t know anything else. Unlike us who are surrounded by not ruined high-rises. She’ll our reaction when surrounded by tall buildings. I must admit I was in total awe standing in the middle of Angkor. It is an awesome place. I was glad that I didn’t grow up there otherwise the awesomeness would been lost by a seemingly mundane sceneries for a local. Definitely – the history. Took me back to my very own history class in standard 10. I actually forgot the king’s name and had to google it – King Suryavarman the second.